Some people consider babywearing a recent development or new fad. I’ve had people say to me “that’s so cool, we didn’t’ have those when I was raising my children”. Of course they were around, just not everyone was aware of their existence, but babywearing is an ancient practice. It just makes sense! Different wraps have evolved in different regions of the world: wrap, sling, mei tai (tie on) depending on the climate, the type of work the mother is doing, etc. I LOVED reading this history of babywearing, which includes many great photos: http://www.slingbabies.co.nz/Site/History_2.ashx. With my 1st child, babywearing was convenient here & there, especially when traveling, shopping, etc. and I loved having his forehead close enough to kiss! With the addition of his little sister, it’s not just a convenience; it’s an essential part of our daily life. Baby Girl is 6 months at this time, and I’m starting to wear her a little less as she spends more time on a blanket on the floor, in her chair, etc. I still wear her ~6 hrs/day, down from 8+ her first several months. She naps in her carrier while I do dishes, fold laundry, or play with Big Brother. Or, she just hangs out in it, peering out & paying attention to everything Mama is doing. I absolutely love babywearing and wanted to share my experience with the few carriers I’ve tried. There are many, many carriers available. My main goal was to try each of the different styles: wrap, ring sling, mei tai, modern buckle system. It’s very possible my preferences will change as my baby grows. Althea was 10# 2 oz. at birth, at 4 months she was 16#, at almost 6 months she’s 19. Moby Wrap- made in Thailand. Organic available, $45- 60(organic), recommended to 35#. Great for preemies or small infants, in my opinion, although I’ve heard from many who love & wear their children until much older on back. I absolutely loved this wrap for the few times when I got it perfectly tight. Babe was nestled in there so snug & it felt very secure. However, the majority of the times I just couldn’t get it tight enough. I’d get her in there & find it too loose, and adjusting it is not easy. I’m so thankful that Debi who owns Baby, Go Green in Houston, TX (http://www.shopbabygogreen.com/) loaned this to me to try out! After using it for a few weeks I decided it just wasn’t for me (& my BabyHawk came), so I sent it back to Debi to use as a floor display. I really, really wanted to try it, and am so thankful I had the opportunity! Ergo- made in China. $114-$145(organic). Need infant insert for under 15# (although I’ve heard from parents who did not know they needed one/did not use one)- The insert is $25- $38(organic). Recommended to 45#. Althea was 15# by 4 months, although some don’t reach that weight until 1 year. Has hood & zipper pouch. I wore my son, who is almost 3 now, exclusively in our Ergo. I did like it, but I also had nothing to compare it to, which was one of the reasons I really wanted to try some of the other styles as I had a chance with a brand new babe. I found myself recommending the Ergo, but hated that it was made in China. I’m so thankful to have a few made in the USA options to recommend now! 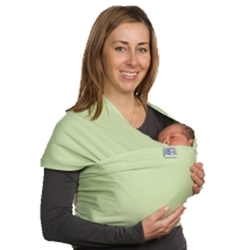 Balboa ring sling- made in China, $60. Honestly, it didn’t feel safe. Maybe for preemie, or maybe it’s just that I’m used to babe being strapped to me, but I don’t like the separation that the pouch creates. Developed & recommended by Dr. Sears, who has done a lot to promote baby wearing which I appreciate, just not a fan of this carrier. Recommended to 25#. I don’t have much else to say about this one. I passed it on to a Mama interested in trying it out. Action Baby Carrier. Made in Detroit, MI! 2 carriers: standard $98 (recommended until ~18m) and toddler $114. The made in the USA Ergo alternative. Buckle system like Ergo. Has hood, very easy to put on, straps crisscross behind back. Here’s the recommendation I was given via email: “Standard Size is recommended from 8lbs to 40lbs. Toddler Size is recommended from 15-45lbs wherein the toddler is made wider so the support extends to the knee. If your 4months is already 10-15lbs, I may suggest toddler for longer use and you can also use it for your 2.5y.o.” However in my review I commented that I didn’t feel I could comfortably carry my babe as tightly as I’d like they said the typically recommend the standard size until 18 months. I think I will like this carrier as my babe grows. I LOVE that it’s made in the USA, and for anyone tempted by an Ergo, I’d DEFINITLEY point you to an Action instead! 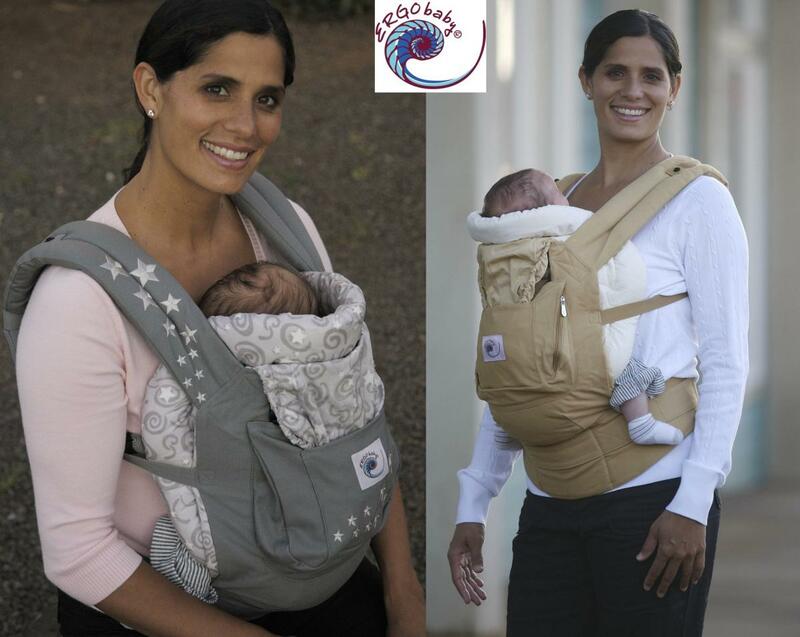 My email inquiring about organic options was not answered… To read my full review: https://ecofriendlyusa.wordpress.com/2013/12/12/action-baby-carrier-review-giveaway/. BabyHawk. Made in Oceanside, CA! $85-$90. No infant insert needed. You can get a perfect fit by tying it on to your tightness preference, I like my babe quite tight- it feels so safe, and she loves it! As she gets older I’ll prefer to wear her more loosely I’m sure! Straps crisscross behind back & go down to tie around your waist which helps distribute weight across greater portion of your body. No buckles, nothing mechanical that could possibly break (slammed my Ergo strap in the car door once, shattering a buckle), also no hood. Very easy to tighten up & readjust if loosens up. Recommended to 40#. I feel the BabyHawk creates the best M shape, as described above in the recommended criteria for a good carrier. As you don’t need an insert, 1 carrier is good to 40# AND it’s the cheapest, it is my favorite & will be my top recommendation! They also make a couple other styles of carriers; I’ve only tried the Mei Tai. I asked them about organic options, here’s the response: “Unfortunately at this time we discontinued the organic options because they were not selling. However we do have enough of the cherry twill to make one carrier if you are interested. We also have the black and white floral shown in the pic which is also organic.” So, contact them if interested, and if enough people request organic, maybe we can get them to offer it once again! My full review here: https://ecofriendlyusa.wordpress.com/2013/09/21/babyhawk-mei-tai-review/. Questions, comments, experiences- please share! I’ve used a homemade stretchy wrap, a maya ring sling, an ergo, and a babyhawk Mei tai. I am pretty sure that with stretchy wraps they are not safe for back carries and most stop using them at 40#. I found it difficult to manage as well but at the time I only had an ergo as my other option and I wanted him very secure. I used a folded up diaper prefold as an infant insert and it worked perfectly for my little guy until his legs were ready to be out. I really love the ring sling because it is easy to get him in and out and to nurse him in it. It’s much more secure feeling than that sling you tried looks. There is a learning curve, but it’s worth it to fumble with it for a whole until you get the hang of it. The mei tai is my newest and I have not got the hang of it yet. I like it and in am okay with a front carry, though it doesn’t look nearly as perfect as that picture, but he hates it for a back carry and the lack of a hood is a downside. My ergo is my go to for grocery shopping but the ring sling gets the most use. I will edit in the fact that I’ve only worn her on my chest, not on my back yet! With my son, I wore him on my chest until I quit wearing him. I just never felt comfortable with him on my back where I couldn’t see him! That’s exactly what I did with my 1st too Paulee. With #2, laying around isn’t an option at all, making a good carrier essential! I started with a Moby and loved having her so snug when she was infant. I love my ergo and have been using it wit her since she was 1 years old. The babyhawk is definitely a carrier I want to try maybe for my next babe, if I have one. Babywearing definitely makes life easier, my toddler still goes on my back a couple hours a day. I wish I had worn her a little bit more when she was small. Being a stay at home, I often instead was just confined to the bed with her all day, breastfeeding, her sleeping on my chest, which sometimes became frustrating. I didnt utilize my carrier like I do now. Now that I am officially broken in to baby wearing, I realize it would have made life alot easier back then if I wore her more. Cheers to babywearing! Great post! It’s nice that there are good made in the USA options! This is just technical but the organic Ergo is made in India and the non organic Ergo is made in China. I know both places are still far away. I did an enormous amount of research before buying the organic Ergo and what finally sold me on it was that it was GOTS certified and not made in China which made me feel assured that it was truly organic. Except Ergo’s “organic” baby carrier contains EVA foam at the waistband, polyurethane in the shoulder straps, and acetal clips. Great article! Any thoughts/knowledge on the Baby Bjorn? We have one that was given to us by a family member so would like to start with that as it appears to rate well for infants and then move to something made in the USA. Baby hawk Oh Mei is my new favorite! Half buckle half tie, really supportive in the waist/low back, easy to get on and off, plus the ease of a mei tai top. Boba has updated their carrier and the improvements are great, and they have an organic option.